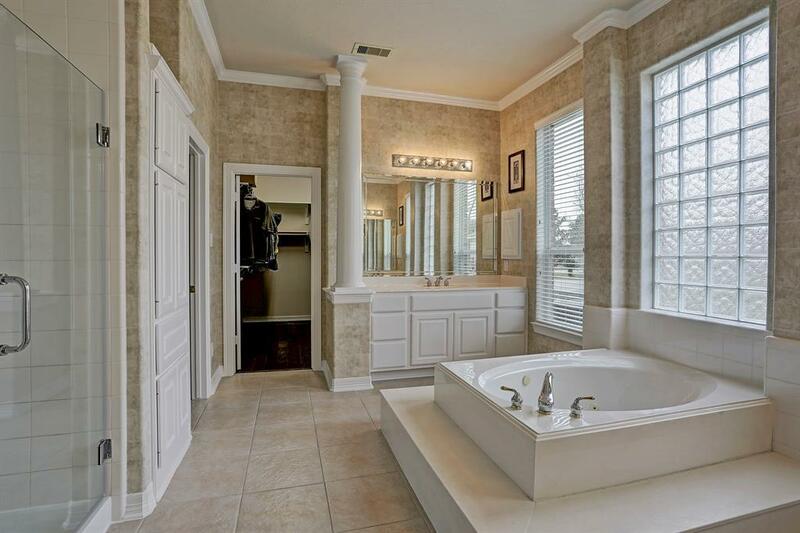 Fabulous five bedroom home located behind the gates in Spring Creek in Tomball. 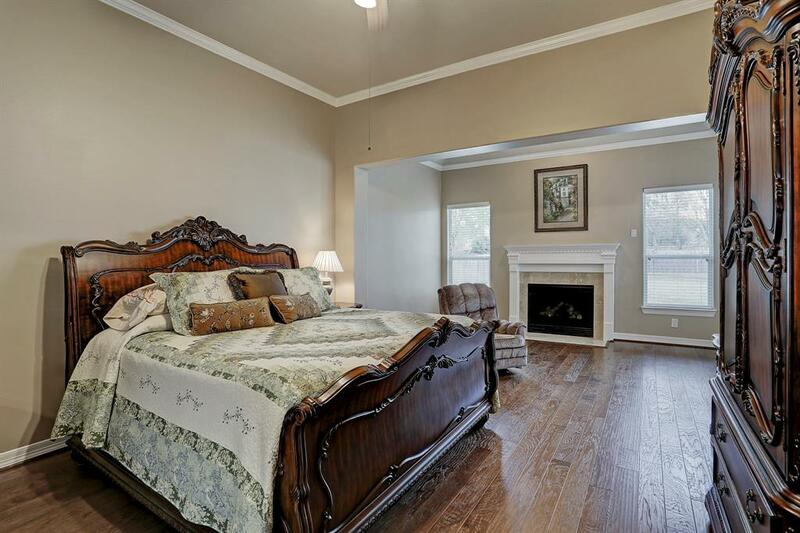 Easy and quick access to Hwy 249. 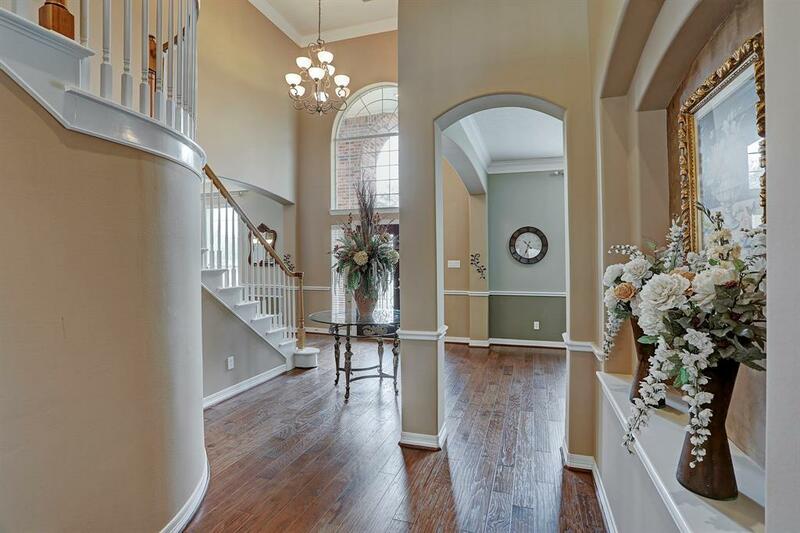 Stunning two story brick home with a fantastic open floor plan nestled on .58 acres. This exquisite home is complete with rich hardwood flooring, crown molding carried throughout downstairs, additional detailed wood trim, two fireplaces (one in the master bedroom), huge island kitchen with granite counter tops and stainless steel appliances that opens to the large family room lined with a wall of windows, tall ceilings, two story front foyer, lots of large windows in every room, extensive master suite with an additional sitting area, luxurious master bathroom, spacious formals/study, massive upstairs game room, very spacious secondary bedrooms and large additional bathrooms. Enormous private backyard with a large arbor patio and a over sized three car detached garage with a very long driveway. 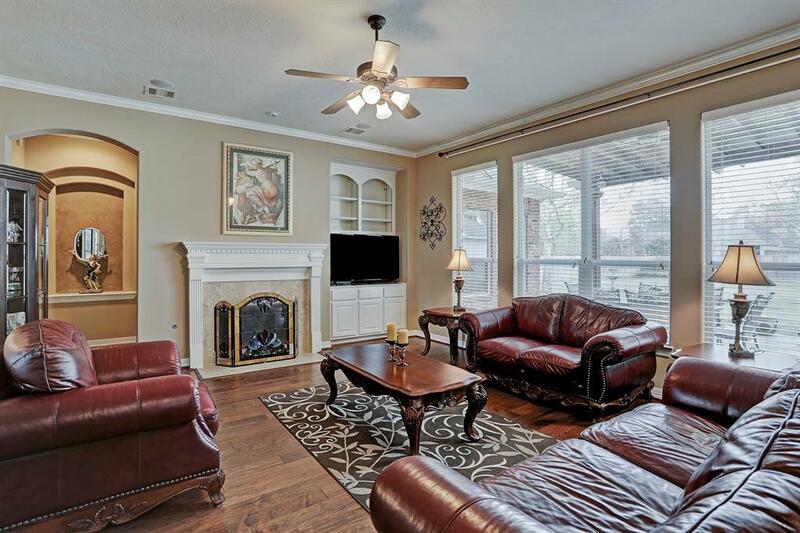 Home is in immaculate condition and ready for a quick closing.